It was a healthy week in the realm of interactive numbers. Want to know which TV shows are currently killing it on social? 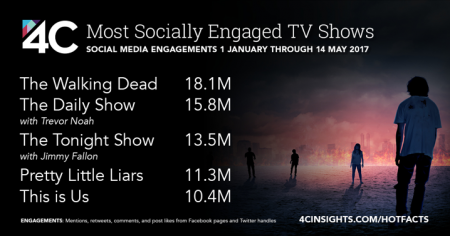 AMC program The Walking Dead—with 18 million engagements recently—definitely is, per 4C, which looked into social engagement for the first four-and-a-half months of this year. According to TechCrunch, Pokemon Go charges retailers anywhere from 15 cents to 50 cents every time a user visits a sponsored location. Sponsored locations are one of the ad products the smartphone-based, virtuality-reality-based app offers marketers. Speaking of smartphone games, Chartboost, a mobile app ad network, analyzed activity across 64 million devices and found that mobile gaming audiences are 62 percent female and normally older than 25 years of age. In addition, 47 percent of mobile gamers shop online more than three hours per week, which is high compared to 28 percent for non-gamers. 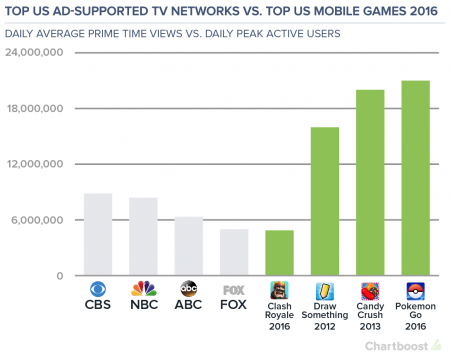 What’s more, Chartboost claimed that the most popular mobile game beats the scale of TV networks. 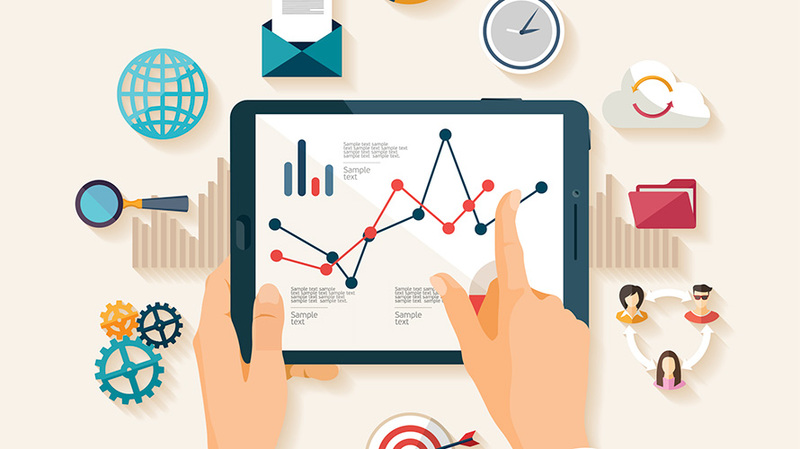 By 2019, the mobile web will account for 26 percent of all media consumption globally, up from 19 percent last year, per Zenith Media’s third annual forecast. TV and radio execs probably dislike reading those numbers. Muck Rack surveyed 400 journalists and found that 70 percent think Twitter is a valuable reporting tool, while roughly 4 percent thought the same of Snapchat. Yeah, that’s kind of low for Snapchat. Meet Baby Ariel, a star on Musical.ly, the hyperaddictive social media platform that counts more than 100 million users, or “musers,” many of them Gen Zers. Baby Ariel—a 16-year-old Floridian whose real name is Ariel Martin—has 19.5 million Musical.ly followers. Read our full story on the rising star here. For the uninitiated, the 3-year-old Musical.ly lets users share short videos of themselves lip-syncing to popular songs or bits of prerecorded dialogue. 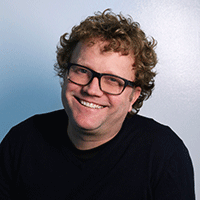 It’s become a popular place for artists to debut new singles and for brands to connect with kids and teens. Mary Meeker released her uber-hyped internet trends report on Wednesday. Here’s one of her more interesting data points: Over the last four years, YouTube’s share of mobile traffic has fallen from 30 percent to 20 percent, while Facebook’s share has increased from 7 percent to 14 percent. 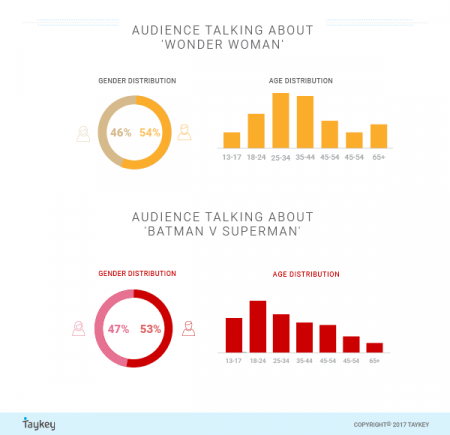 Fifty-four percent of people talking about the movie Wonder Woman online are female, per Taykey. Not entirely surprising. More interestingly, Gen X women are showing up in full force to digitally discuss the film, which is expected to be a hit in spite of controversial reviews.